New Townhouse in Mayfair, Westminster. 4D Studio have been preparing designs for a new 14 bedroom townhouse in a Mayfair. 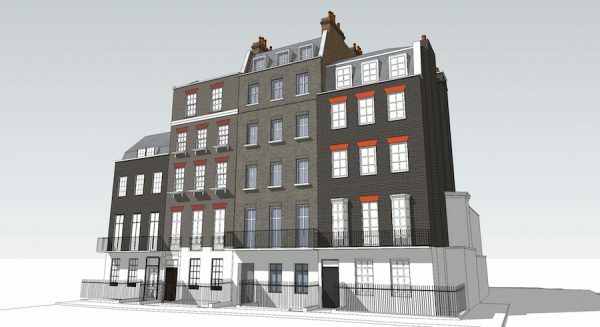 The new 6 storey dwelling house in a Westminster conservation area will include a further two basement levels that will accommodate a cinema, swimming pool and kitchens. Dining and reception areas will be provided in elegantly proportioned fine rooms at ground and first floor levels and family accommodation will be located on the upper floors.